Mauka (upland) forests help sustain the island’s ecological balance and provide water for lowland agriculture and residential communities. To protect these lands, Hawaii’s Forest Reserve System was created back in 1903. Today, Hawaii’s Forest Reserve System comprises over 580,000 acres statewide and these natural resources are managed by the Department of Land and Natural Resources Forestry and Wildlife Division. Program areas cover watershed protection; native resources protection, including unique ecosystems and endangered species of plants and wildlife; outdoor recreation; and commercial forestry. Revenue sources that can be reinvested into management of the Forest Reserve System include fees for leases, permits, mineral extraction, timber and non-timber forest products and other ecosystem services. The UH Hilo College of Agriculture, Forestry and Natural Resource Management offers the Bachelor of Science degree (BS) in six areas of specialization: Animal Science; Aquaculture; Coastal Resources & Watershed Management; Tropical Horticulture, and Tropical Plant Science & Agroecology. Academic subject certificates are also offered in Forest Resource Management & Conservation and Plant Tissue Culture. Hawaii Community College offers its Forest TEAM Program which leads to a Certificate of Achievement (CA) and the Applied Science (AS) degree in Tropical Forest Ecosystem and Agroforestry Management. Our dryland forests are the most endangered dryland forests in the world. The Hawaii Island Native Seed Bank Cooperative is working to reverse losses. This is a collaboration funded by the Hawaii Wildfire Management Organization and administered by The Hawaii Forest Institute. Commercial forestry operations are largely limited in Hawaii to plantation-style forestry (trees grown specifically for harvest) rather than logging native forests. 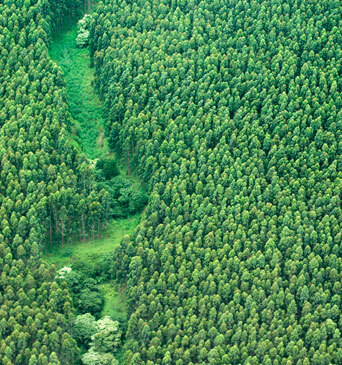 In 2012, Tradewinds Forest Products LLC began harvesting eucalyptus trees from its 14,000 acres along the Hamakua Coast, storing the trees in Kawaihae before being shipped to Asia. Tradewinds also plans to supply eucalyptus logs to the future Hu Honua Bioenergy power plant. Working with landowners on improving stewardship, Hawaiian Legacy Hardwoods is growing and preserving koa and other rare hardwoods.